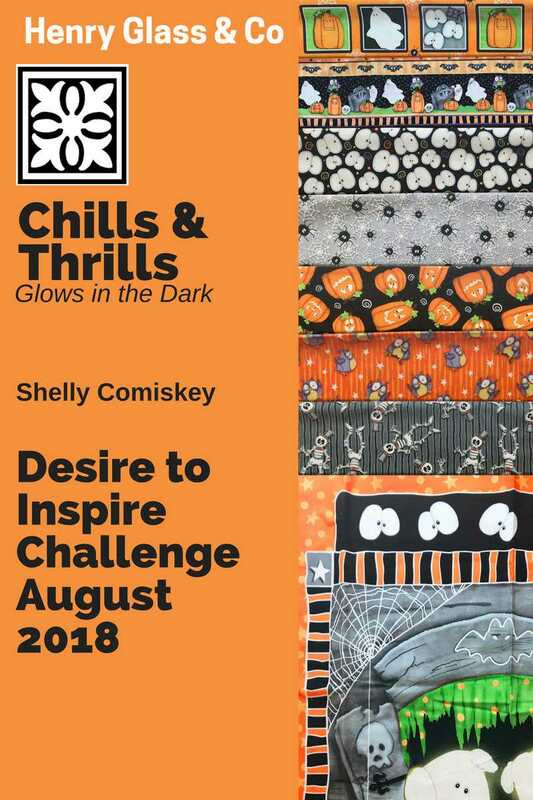 Henry Glass Fabrics: Looking for an August Challenger for our Desire to Inspire contest - It's Chilling! Looking for an August Challenger for our Desire to Inspire contest - It's Chilling! Get sewing and glowing! This beautiful (and creepy) fabric line glows in the dark, and owns up to its name "Chills & Thrills" designed by Shelly Comiskey. You can make up something spooky this month and have it ready for goblin season in our Desire to Inspire Challenge. It is a super easy contest. Just toss your hat into the email pool by sending an email to vanessa@jaftex.com to be considered. We will select someone on Thursday, August 2, so act fast! We will send you fabrics from this collection, and you will have a whole month to sew something spooky! We will post your pictures and bio at the end of the month.